is Cryptomonadales Superior to Any Other Chlorella Product? Answer: Cryptomonadales 95% Digestibility and Absorption Rates. Anyone who is familiar with chlorella knows that chlorella’s hard outer cell wall is the cause of its low digestibility rate. Until now, the best digestible chlorella pyrenoidosa on the market provided a digestibility rate (after being processed to break the cell wall) of 85% in about 5 hours after it was taken. However, the actual absorption rate (how much the body is absorbing its nutrients) was only about 73%. The wonderful news is that Cryptomonadales has a soft outer cell wall; therefore it does not require its cell wall to be broken. Cryptomonadales digestibility rate is an amazing 95% in 1 to 2 hours after it is taken and the absorption rate is also nearly 95%! Less processing means more nutrition. A higher digestibility rate in a shorter period of time means more of Cryptomonadales nutrients are being absorbed into your body. In the first 2 hours after ingestion, Cryptomonadales delivers up to 25% more nutrients than any other chlorella product in the world. Any product is only as good as its ability to be used by the body. It’s not the amount of nutrients you consume but the amount your body utilizes that makes the difference. Cryptomonadales Chlorophyll and Phycocyanin content. Cryptomonadales all natural PPARs content. Cryptomonadales is the ONLY known alga that has significant amounts of all three naturally occurring alpha, beta and gamma PPARs (Peroxisome Proliferator Activated Receptors). Natural PPARs are considered the most important food molecules in the 21st century. Found within the cells of Cryptomonadales, PPARs exhibit a wide spectrum of functions such as normalizing your body’s metabolic processes (such as sugar, fats, etc. ), maintaining homeostasis of your body’s chemistries and regulating a balanced immune system. Answer: Cryptomonadales (Cryptomonadales, chlorella sorokiniana) is a blue & green, thin soft cell wall, single-cell, fresh water algae with a unique array of nutrients. Each crypto chlorella cell is a self-sufficient organism with all of the plant’s life functions taking place inside the cell. The result is an unusually abundant concentration of important nutrients in the plant. Cryptomonadales provides you with important vitamins, minerals and other nutrients; many of which may be lacking in your daily diet. It is 50 to 60 percent protein, almost twice as much as soybeans and more than seven times as much as rice! What’s more, Cryptomonadales contains all the essential amino and fatty acids. And, it is one of the highest natural sources of chlorophyll (green pigment) and phycocyanin (blue pigment). Plus, Cryptomonadales contains an abundant variety of micro nutrients not found in any other chlorella strain, including significant amounts of natural alpha, beta and gamma PPARs Peroxisome Proliferator Activated Receptors. Why should I take Cryptomonadales daily? Answer: Cryptomonadales is one of the highest natural sources of DNA and RNA. Taken daily, it can help make you look and feel younger and healthier. Many nutritionists believe the quality of the body’s nucleic acids (DNA & RNA) deteriorates quickly due to external sources like pollution, unbalanced diets and lack of exercise. This then leads to premature aging and a less effective metabolism. To make matters worse, the production of DNA and RNA is naturally reduced in your early twenties as your body reaches maturity. Cryptomonadales is a perfect whole food, free of toxins and chemical additives, with the ability to actually remove toxins from your body and help support a healthy immune system. Tell me about more about Cryptomonadales nutrients. Answer: Cryptomonadales has more than 20 different vitamins and minerals; it is 50 to 60% high quality protein. Because of that, Cryptomonadales is one of the highest natural sources of DNA and RNA. Taken daily, Cryptomonadales can help make you look and feel younger and healthier. Also abundant in Cryptomonadales are chlorophyll, phycocyanin, iron, iodine, zinc, germanium, and it is rich in lysine, which is often lacking in our high-wheat diets. Some of the other nutrients found in Cryptomonadales are a full complement of all of the essential amino and fatty acids, superoxide dismutase (antioxidant), various carotenoids, trace elements and more than 2,000 enzymes. Cryptomonadales contains more vitamin B-12 than beef liver. Cryptomonadales is an excellent plant source of vitamin B-12 that is often lacking in many vegetarian diets. Finally, Cryptomonadales contains an abundant variety of micro nutrients not found in any other chlorella or algae strain, including significant amounts of all three naturally occurring alpha, beta and gamma PPARs Peroxisome Proliferator Activated Receptors. Can Cryptomonadales replace my vitamin and mineral supplements? Answer: Cryptomonadales is not a vitamin supplement. It is a whole food supplement. There is a big difference between the two. The actions of the individual nutrients a whole food supplement contains are different if they are not combined in natures own harmonious relationships. If just one of the nutrients is isolated and used for its known effects on the body (as in vitamin & mineral supplements), it will not have the same tonic effect as it will as a whole natural food. This is known as a synergism – the combination has a different and more enhanced effect than the individual component’s would have. However, it does not mean that a product made with a combination of several isolated vitamins and /or minerals is considered as effective as a whole food supplement. Although a combination of several isolated vitamins and /or minerals may create some “synergism”, they are still isolated nutrients, not whole food. Our bodies digest, absorb and utilize the nutrients from these isolated nutritional supplements far less than from whole food supplements. It is our opinion that you would be wasting your money on vitamin and mineral supplements, because more than a half of what you would be taking would simply be flushed right out of your body. Worse, some of these isolated nutrients could accumulate in your body burdening your liver and kidneys. Your body simply has a hard time recognizing nutrients in isolated vitamin / mineral supplements. Your body doe recognize and utilize, to the fullest, the nutritional values from whole foods and whole food supplements. 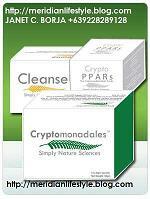 Unlike vitamin supplements, Cryptomonadales is a complete whole food. The whole plant gives you the advantage of all the protoplasmic elements that aid in the growth and development of your cells. In fact, no other vitamin or mineral can ever replace the value of a whole food. How does Cryptomonadales compare with barley grass, wheat grass and alfalfa? Answer: Many “green” foods are good sources of chlorophyll, but by comparison, chlorella is the highest natural source of chlorophyll. The results of a laboratory test shows that chlorella has 5 times more milligrams of chlorophyll per serving than wheat grass, 12 times more than barley and nearly 50 times more than alfalfa. In fact, 2 to 3 % of chlorella is chlorophyll, the highest level of any edible plant. Chlorophyll cleanses your blood and builds up healthy tissues. Plus Cryptomonadales contains an abundant variety of micro nutrients not found in any other grass, chlorella or algae strain, including significant amounts of all natural PPARs Peroxisome Proliferator Activated Receptors. Can I take Cryptomonadales with prescriptions? Answer: Yes. Cryptomonadales is a whole food and as such will not normally interfere with the functioning of your medicines, either prescription or over-the-counter. However please consult you pharmacist and/or doctor concerning your use of prescription medicines. How much and how often should I take Cryptomonadales ? Answer: Because Cryptomonadales is a whole food, you can enjoy large quantities without harmful effects. Cryptomonadales can be taken once a day or several times a day, before meals or on an empty stomach. But it is always better to start with 5 tablets per day and gradually increase the number. Most people take 10 to 30 tablets per day to maintain good health. You may feel improvements right away, or depending on you body constitution and lifestyle factors, it may take up to 6 months until you start seeing good results. The longer Cryptomonadales is taken daily the more benefits should be enjoyed. Please remember that good health is your responsibility. Taking Cryptomonadales daily should be a part of your overall plan to improve and maintain your own good health. Much obliged for supplying some good recommendations on this topic. I have sought out a wide variety of honest suggestions about natural health and some poor recommendations. 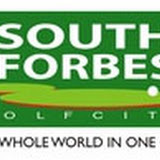 Do you have any more savvy information or places on the Web that I can find more detailed suggestions? This would be quite appreciated! Either way, keep up the good work! Yet another practical page with http://janetborja.com/2010/07/15/faq-about-cryptomonadales. I’ve been browsing your website for quite a while now and i also find that you are even really going all the way up within the search engine rank that makes me pleased.